Click the Facebook link to get rain-out or field information. If inclement weather, the umpires will make the call on field playability after 4:30 pm on game days. Thank you for everyone contacting us about our season coming up. 8U, 10U, and 12U registrations are closed and late registrations will not be accepted. 14U, 16U/18U registration closes May 8th at midnight. Schedules and Standing are available for all leagues on Standings page as they become available. Interested in joining the TCGFSA as a board member? Contact a board member for more information. Do you have a comment or a suggestion? Please send an email to us. 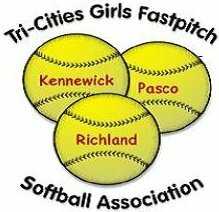 To add information about competitive teams, please email c.laplante@tcgfsa.org.